In some ways, the rationale behind Netflix’s merry-go-round of christening, defending, and retreating from its plans doesn’t matter. Brand identities are tightly bound up in what people think and feel about a particular brand, and most everyday customers won’t ever get to know a company’s reasoning for an initiative. They shouldn’t have to — brand decisions are made in the present, where they affect, challenge, and reflect on an organization — for better or for worse. We think it’s a useful and instructive exercise to rewind the film, so to speak, and walk through some of the reasons why Netflix’s actions are the equivalent of a disaster movie, or maybe just brand mistakes, seen in high definition. Netflix painstakingly built and earned its reputation as a forward-thinking, powerful content provider, employing a Long Tail strategy to re-envision the movie rental industry. The future-forward vision of delivering films and television to users initially focused on using direct mail as the vehicle for providing films quickly. Fast delivery, responsive customer service, and a super-optimized supply system were all strong brand attributes, and crucial to its growth. Coupled with the company’s commitment to developing better and better recommendation algorithms, all of these factors drove Netflix’s popularity and to a place as the leader in its sector. Cute little red envelopes became synonymous with fast service and the delight and surprise of receiving your next film in the mail. The website experience of Netflix was helpful, friendly, and user focused. But changes have taken hold in the industry, with corporations moving towards streaming models of delivery, and while Netflix did it first (and arguably, best), it mis-managed the evolution of its brand. This Qwikster debacle grew out of this shift away from Netflix’s original model, and that, coupled with an earlier price hike, started pushing away many of the company’s loyal customers and fans. In surprisingly short order, Netflix began squandering many of the good feelings and past positive experiences previously associated with its brand, as users began to feel excluded and alienated from the formerly warm embrace of Netflix. The move to focus more on streaming users makes sense, and that change is a wise one for the company. But the initial concept of the Qwikster rollout was primarily built around the needs of the business, and not users. From a user experience perspective, it seems foolish and nonsensical for a single company to force current users to navigate two distinct websites, handle user accounts separately, and degrade the user experience by providing no integration between the related sites. These are not the actions of a company focused on its customer base, and it made many of the Netflix DVD/Blu-Ray subscribers feel like second-class citizens. But we have to cut Netflix a little slack. Every brand has missteps. Remember the Apple Newton? No one is immune from screw ups, and the best and most popular brands get to make their mistakes right in the spotlight. So, a brand has to make a decision — to retrench, and fix the problems, or stand their ground and defend the decision. But we know what happened to other brands who’ve gone down this path. New Coke? Tropicana rebranding? The Gap logo? You can circle the wagons, but eventually consumer-facing brands need to kneel before their customers and offer the mea culpa. The above brands survived after all the hoopla, and the name of the game is moving forward after a mistake. But Who Drives This Train? Of course, this seems to suggest a dangerous precedent. How willing are companies and organizations to hold the line when a seemingly unpopular decision promises to lead to better places tomorrow? Good PR can’t always serve as the indicator for whether a decision is correct or not. Often, the issue is not the actual decision itself, but how it is communicated to the target audiences and public at large. But even if communication is pitch-perfect and completely on-brand, bad things still happen to good brands. Sometimes a temporary black eye is the cost of visionary leadership. All that being said, Netflix’s handling of the scenario was odd — with strange communications, then an out-of-the-blue reversal. The company’s delivery was odd, which caused many to speculate that this rebranding was setting up its mail delivery component to be spun off completely, in anticipating of selling it off to another entity. Perhaps Netflix wanted to distance itself from soon-to-be-obsolete technology, maintaining its technology-forward brand image. Or possibly, the company wanted to jettison the extra baggage of hard costs and labor of mail service, as it seeks to become the premier content partner for streaming devices and online. Keep users first. There is always a fine line between decisions that make good business sense, and those that are good for users. Sometimes sacrifices have to be made. But when in doubt, the more profitable decisions (in the long term) will always be for the good of customers. It’s all about tone. How an organization communicates hard truths (like a price hike) is almost as important as the content of the actual message. Honesty, sincerity, and a clear message about why a decision will eventually benefit an audience will go much further than a strange, pseudo-apology. Directness, transparency, and consistency are the keys. Don’t underestimate the value of a good name. 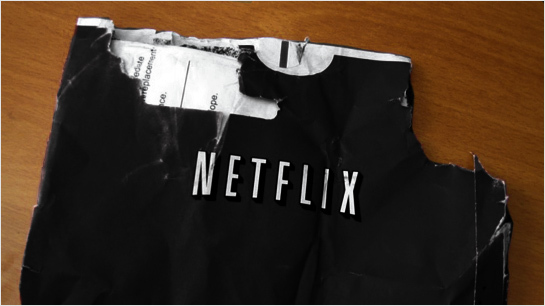 Netflix almost threw away millions of dollars of brand equity by renaming part of their service. Forget the fact that the name was poorly-conceived (I still can’t spell it correctly!). Any change was a poor one, if it wasn’t going to utilize the goodwill, recognition, and singular awareness of a little red DVD envelope. When your organization spends years, millions of dollars in advertising, and the hard work of building a brand people can trust, renaming must be done with the most sober of mind, if it needs to be done at all. rest & to offload our stress and exertion. your light shade of color with strong prints and patterns. other furniture that you get to put in the bed room will majorly rely upon design, size, and undoubtedly hue of your foundation. to make a restful atmosphere in your bedroom. The thing to be anxious about is how big is the bed. You will need to gauge the measurements of your bedroom and appropriately decide whether you will want King size foundation or a Queen size foundation. Winsome Closet: Get a clothing that is appealing externally and spacious from inside. impressive affirmation in your master suite. the colour scheme of your bedroom, this wardrobe won’t leave your side. and luxury. A chunky little cabinet shall be perfect so that you can keep an alarm clock, lamp, as well as your phone. Plus the useful dovetailed drawers shall be looking after your bedtime essentials. Dignifying Dressing Furniture: A dressing stand adds an image of beauty and take pleasure in our bedroom. make-up prior to going to bed it can be an essential area of the bedroom accessories. exquisite assortment of your cosmetic makeup products and accessories. But also for an all out modern-day styled bedroom, you need to ingest use wealthy color plans and artworks. that you would like but don’t over stuff things. for a modern day bedroom decor!